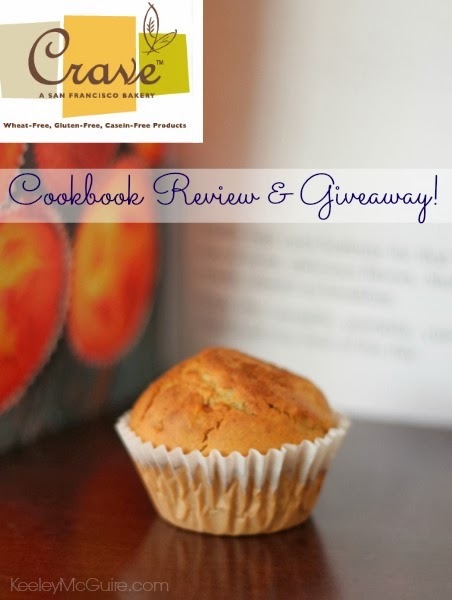 Gluten Free & Allergy Friendly: Crave Gluten Free Cookbook Review & Giveaway Prize Pack! 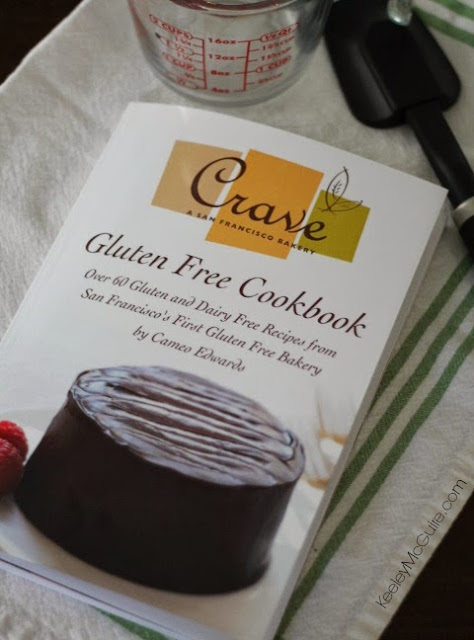 Crave Gluten Free Cookbook Review & Giveaway Prize Pack! Cameo Edwards (a Michigan native by the way) opened Crave in 2003. It was the first gluten free bakery in the San Francisco Bay area. And although the bakery is now closed, Cameo decided to put all of their delicious recipes in to a 10th Anniversary cookbook! To my surprise, upon receiving an electronic copy (Kindle), and then later hardcopy, of the book is the recipes are not only gluten free but allergy friendly! I'll explain more on this below. Not only am I sharing our review with you about this delicious new book, but I am giving away one copy to a lucky winner! And that's not all! We've also teamed up with Wholesome Sweetners to also include some goodies to help get you started baking! When I say that the recipes are not only gluten free, but allergy friendly, I mean it. Each recipe is detailed, as it's written, what it's free from - gluten, nuts, dairy, corn, etc. 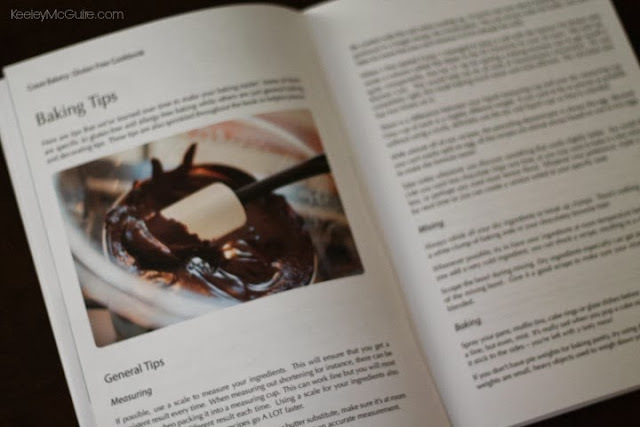 The book starts with a comprehensive section on baking tips and ingredient substitution ideas. What works... what doesn't... why she suggest certain items and not others. I love when books have this! I learn so much and it also helps me better adapt their recipes to meet our needs. For our review, I knew what I wanted to make: Muffins! 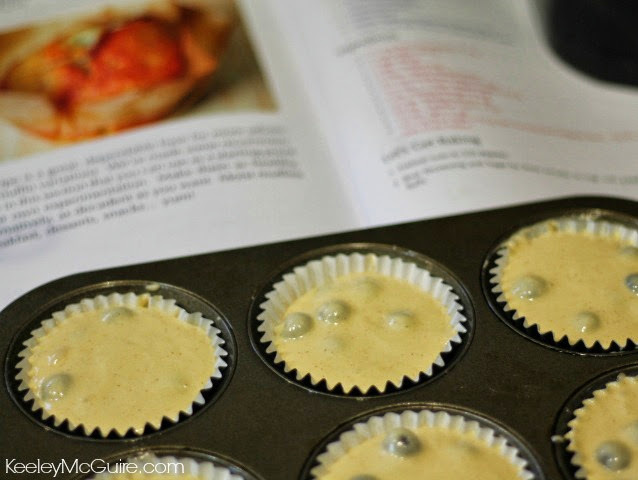 I love baking muffins and having them on hand for breakfast, snacks, and lunches. They're easy to make and I love that I can freeze muffins, so they are ready at my finger tips for busy mornings or a quick snack. Cameo's Muffin Base recipe is to.die.for! Those of us who frequently bake gluten free know that when people say "oh just sub for GF flour to make this recipe gluten free" immediately eye-roll... it's not as simple as a one-to-one ratio. Fact. So finding a good gluten free muffin base is key. And Cameo's recipe is just the ticket! Once you have your base recipe, the possibilities are endless! Whatever mix-ins your choose or additional spices, you never have the perfect "starter" to get you there. 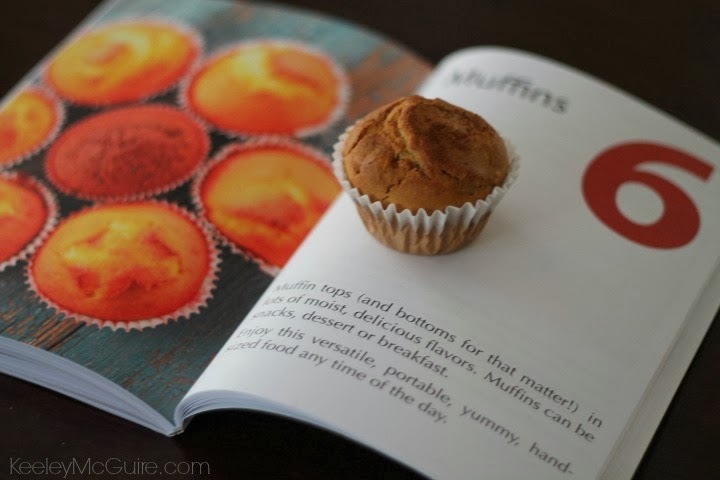 My favorite that we made from the book: The Apple Cinnamon Muffins. Hello! 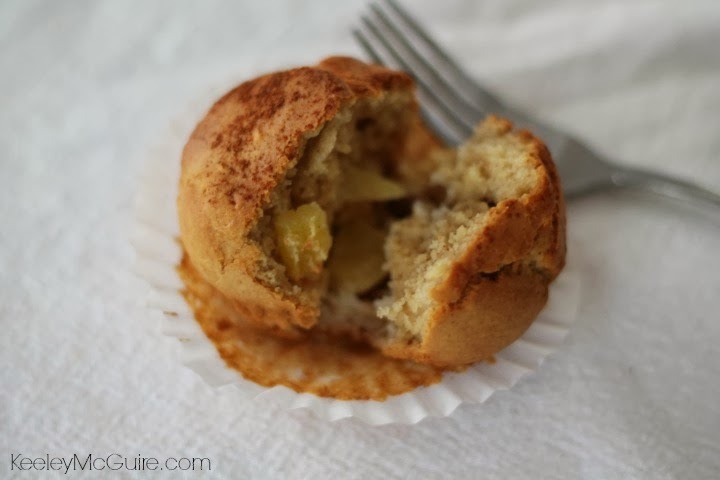 It's like an apple pie in a delicious muffin wrapper. I love biting down into the chunks of apples and that subtle taste of cinnamon. Yum! Here is your chance to WIN a copy of this amazing cookbook for yourself! To enter, simply follow the instruction on the rafflecopter widget below. GOOD LUCK! I've tried several biscuit recipes, but I haven't found one that I like yet. I would love to win this book! It looks like it is full of goodness. I would love to win this book. It looks like it is full of goodness!! I would love to win this book as I am new to food allergies and it's been overwhelming to fing safe foods. Desperate for a good flakey pastery recipe. 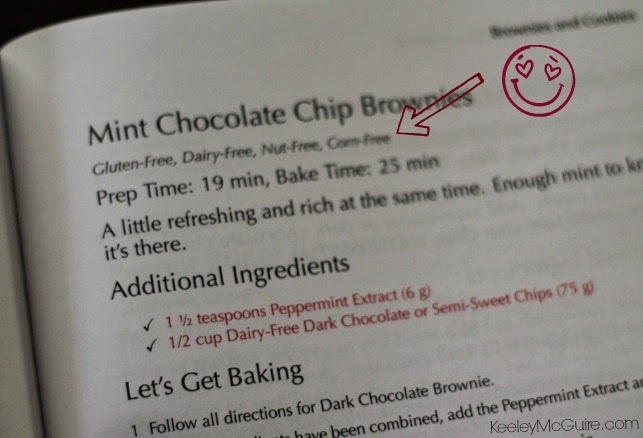 I love when cookbooks label right up front whether the recipe is nut free, dairy free, corn free, etc. with multiple food allergies is such a time saver to be able to flip through recipes quickly and find which ones are safe for our family. There are two things I haven't found yet: chewy bread recipe and flaky pastry recipe. You'd THINK pastry would be easy because traditional pastry flour has very little gluten, so using gf should work, but it doesn't. Not really sure whether first comment worked: bread and pastry are the two things I'm still working on getting right. Could use a good pizza recipe! This beautiful book would make an awesome gift. The apple cinnamon muffin looks delicious! If you're impressed I'm sure I would be. I'd love to see the book. I would really like to find a good substitute for Sweetened Condensed Milk in a variety of recipes! We are always on the lookout for recipes that fit my families multiple food allergies and celiac disease! Bagels...would love a really good, chewy inside/crispy outside g.f. bagel recipe! I haven't found a good chocolate cake recipe yet! I'm still new at gluten free and have gotten a good flour mix, just haven't found a good chocolate cake consistency yet! I would love to find a good crescent roll recipe that could be used in a lot of different ways. I'm just getting started! How about good french toast? I hate the taste of the ones that are premade at the stores. does that count, since you have to bake the bread first? I haven't found a substitute for my pie crusts. I did learn to use zucchini in place of noodles for lasagna and also use gf bread to make your own french toast. I'm now to eating this way and trying to learn everything that I can. This recipe book had me as soon as I saw the mint chocolate chip brownies....yummy! I am having trouble finding a good gluten free pie crust recipe. Thanks for the chance! I'd love to successfully bake a fluffy loaf of bread! I'd love to find a recipe for a fluffy loaf of bread! I'd love a great gluten free croissant recipe! I'd really like to learn to a good gluten free pizza crust recipe. We are not totally gluten free but are trying to reduce the amount of wheat we eat. Thanks for the giveaway! I'd love to find a great recipe for Italian 7 layer cookies! I'd be interested in a recipe for gluten-free brownies. pie crust... it's probably out there, I just haven't found it. Soft dinner rolls. Or a good pizza crust. Or anything "glutenous" really. Haven't found a good dinner roll recipe, but I haven't really tackled it hard-core. Would love a good pizza crust recipe as well! I have yet to find a GF cake recipe with the perfect fluffy & moist texture. I've had lots of gluten free baked goods that I enjoyed, but finding a recipe for a good banana loaf that my family would has been elusive. Gluten free bread is still so very hard to make good. I can't seem to find a really good GF bread recipe. yupitsvegan at gmail dot com. thanks for offering the giveaway! Monkey bread...my son hasn't been able to enjoy that for over 6 months since we went gluten free! This would be wonderful!! My sons have a combined total of 28 food allergies and I have to be gluten free. This would be a great help. I completely forgot to say that I haven't found a good graham cracker recipe that's gluten free.